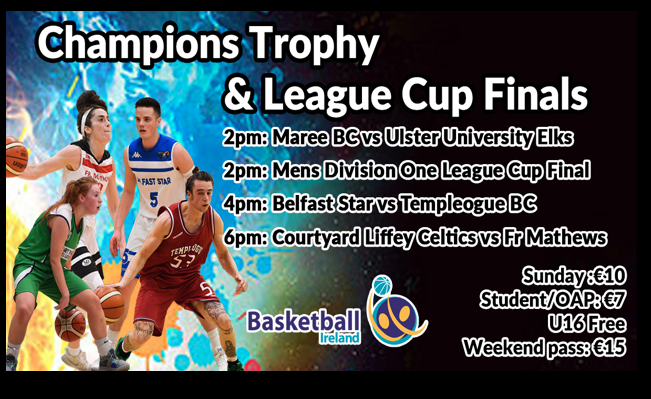 This weekend the Basketball Ireland National League season is set to come to a thrilling conclusion as the semi finals and finals of the League Cup as well as the finals of the Champions Trophy take place at DCU. The Men's Division One League Cup semi finals get proceedings underway on Saturday afternoon, with an all Dublin affair in the opening game at 12pm (midday) as Bad Bobs Tolka Rovers take on Abbey Seals Dublin Lions. This will be followed by the second semi-final at 2pm when Cup champions Tradehouse Central Ballincollig go head-to-head with IT Carlow Basketball. Admission to the semi finals on Saturday at DCU is €10. The finals take will take centre stage on Sunday. 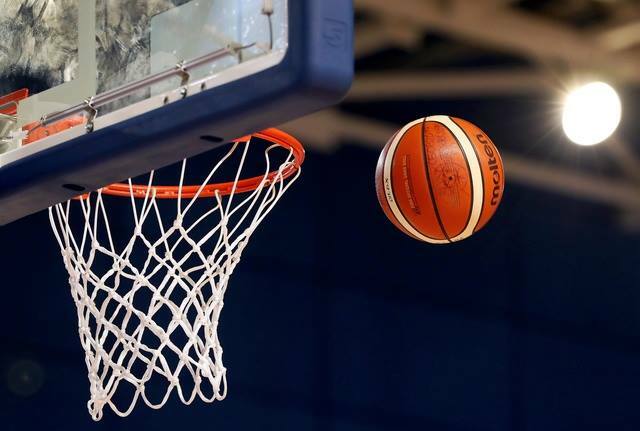 In the Men’s Champions Trophy final, Templeogue are hoping it will be third time’s the charm for them as they prepare to contest their third Champions Trophy final in a row on Sunday. They were finalists in both 2016/17 and 2017/18 but lost out on each occasion to Garvey’s Tralee Warriors. They face a tricky challenge in the shape of an in-form Belfast Star this Sunday, and Templeogue’s Jason Killeen says that they’ve a tough task ahead of them. Over in the Women’s Champions Trophy meanwhile, Courtyard Liffey Celtics are hoping that they will claim their third trophy of the season when they hit the court on Sunday evening. 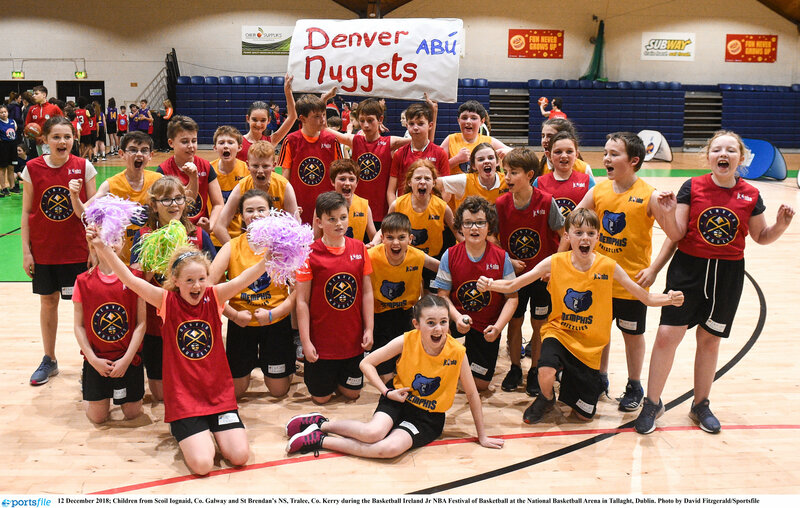 The Kildare outfit scooped a historic first ever Hula Hoops National Cup title back in January, before going on to win the League two months later. Now, they are hoping to top off an incredible season with a third piece of silverware, but face an extremely tough clash against Fr Mathews of Cork. Mathews, who were promoted from Division One this year, have had a solid first season at Super League level, reaching a Cup semi-final, placing third overall in the league, and now, in a Champions Trophy final, but know they’re up against it on Sunday when they face the most in-form team of the season. Over in the Women’s League Cup meanwhile, Maree and Ulster University Elks will go head-to-head in the first final on Sunday. Maree boast an incredible track record this season, as they are still unbeaten, are National Cup champions, League champions, WNLC Cup champions and Southern Conference winners. This weekend’s game is a rematch of the National Cup final and is set to be one of the games of the weekend as Elks look to topple Maree’s unbeaten run, while Maree aim to add yet more silverware to a bulging cabinet. The Men’s League Cup finalists will not be decided until Saturday afternoon.